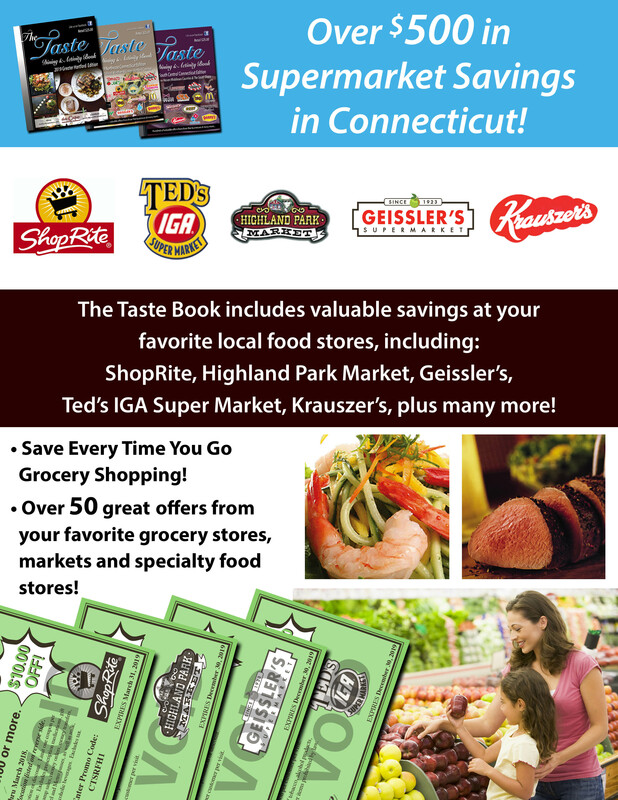 The Taste Book | The Most Popular Discount & Dining Guide for Connecticut and Western Mass! The Taste Book, a discount dining and activity book, features an exclusive Dining Rewards Card, plus hundreds of special coupon offers. Use your Dining Rewards Card to receive $10 discounts at fine dining, upscale and casual restaurants. Use your coupons to save $5, $10 and score "Buy one get one free" deals at casual eateries, retailers and attractions. to view our coverage map! Find out how to use The Taste Book for your next fundraiser.